Pam Sterner Boyer, a Philadelphia native, began dancing at the age of 3. Over the next 20 years, she studied with tap masters Mary Ford and Jimmy Hamilton as well as taking ballet, pointe, jazz and contemporary classes with instructors such as Ellen Vee, George Warren and Mickey DeFranco. She spent countless hours a week in a dance studio, not only taking class, but assisting in classes taught by her mother, Linda Sterner. She participated in many performances, competitions, and conventions where she learned from instructors such as Frank Hatchett, Marci Renee, Debra Sparks and Michael Lanning. She has had the honor of performing at both The Academy of Music in Philadelphia and The State Theater of NJ as well as several TV appearances on the Al Alberts Showcase. Pam continued studying dance while earning her degree at Rutgers University and while working in Financial Services in NYC, including taking classes at the Broadway Dance Center in Manhattan. In 2010, Pam began teaching adult tap dance classes and in 2013 became the owner of Tap N Burn Collegeville. She appeared on “The Steve Harvey Show” with other instructors and students to promote tap dancing as a unique way to get fit and have fun. One of her favorite projects during this time was being a member of a Thriller zombie dance troupe performing the choreography from Michael Jackson’s Thriller video at local festivals and charity events. She also loves to pass on the famous choreography, teaching it to her students every year at Halloween. Recently, she has attended The Pulse Dance Teacher Workshop in NYC and learned from choreographers such as Germaine Salsberg, Cris Judd, Brian Friedman, Desmond Richardson, Tyce Diorio and Mark Albrecht. Pam is a mom to two teenaged daughters who share her love for dance. She is a proud Dance Mom and understands the challenges and rewards of that role. She understands the importance of a positive and supportive dance environment and the role that plays in the development of not only great dancers, but great people. 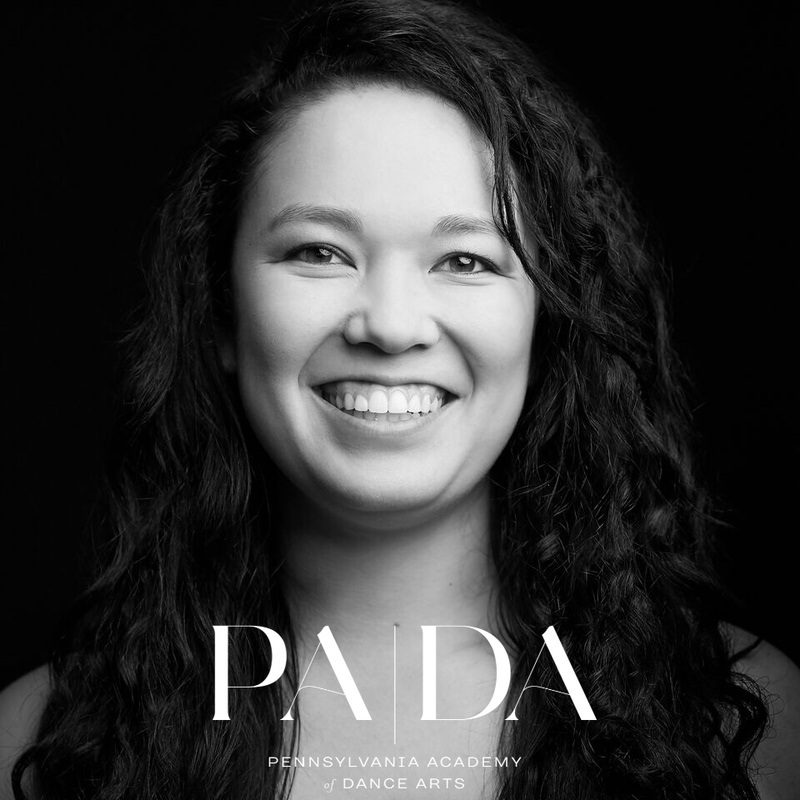 She looks forward to sharing her love of dance and dance education with the students and families of PADA. Pam is a graduate of Rutgers University with degrees in Psychology and Sociology. She and her husband have two daughters and live in Phoenixville. Kimberly D. Landle , a native of NJ began her training at the age of 2 under the direction of Angela Pawlak. While dancing at her local studio she traveled to study under the direction of The Kirov Academy of Ballet, ABT, SAB, Jacobs Pillow, Steps on Broadway, and Broadway Dance Center until she graduated high school in 2006. She attended The University of the Arts where she worked with choreographers from Philadelphia to Kenya. Although she majored in Ballet Performance, Landle constantly worked on keeping herself well rounded by doing works by Roni Koresh, Brian Sanders, Twyla Tharp, MOMIX, and NDT. Upon graduating the university Kimberly signed a contract with contemporary ballet company, DanceSpora under the direction of Heidi Cruz-Austin, former PA Ballet Soloist. She worked with the company as a soloist and as rehearsal director until 2016, performing in various theaters along the East Coast, including Jacobs Pillow on the Inside/Out stage. While with the company Landle continued to freelance and work with various choreographers and companies in Philadelphia, New York, and the DC area. In June of 2016 The Klassic Contemporary Ballet Company was founded by Landle; the company premiered in November 2016 with a full length ballet entitled MOONPHASES. By the following summer KCBC held a summer intensive for serious pre-professional dancers. The program was geared to helping these students learn the in-depth about the professional side of dancing, leading towards the creation of KCBC2. KCBC has officially entered it’s third season as one of Philadelphia’s premier contemporary ballet companies. While dancing professionally Landle has also been teaching since the age of 18, sharing her knowledge and growth with children of all ages in NY, NJ, and PA. Currently she is a teacher at two studios, guest choreographs along the east coast from Maine to Virginia and teaching dance at West Chester University and PAA in NJ. Throughout her career, both preprofessional and professional Landle has been granted awards and acknowledgement for her choreography from The University of the Arts, grants from the Painted Bride, and various donors to keep her work alive. To be an artist means you never stop growing, never stop learning, and never stop sharing your gift with others. Blythe E. Smith began dancing at the age of three in South Jersey. Her training includes The Rock School for Dance Education, Columbia City Ballet, Ballet Magnificat, Central Pennsylvania Youth Ballet, and Atlantic City Ballet. Blythe was offered scholarships to attend Joffrey Ballet, Boston Conservatory, and SUNY Purchase. She attended The University of the Arts on scholarship and graduated with a BFA in Ballet Performance in 2004. She was offered a trainee position with Ballet Magnificat in Jackson, MS in 2005. Her performance credits include Regional and National Dance America Festivals and soloist roles in The Nutcracker, Paquita, Swan Lake, Les Sylphides, and The Sleeping Beauty, all performed at The Merriam Theater in Philadelphia, PA. Blythe was a member of Alchemy Dance Company for seven years and danced several performances of new work throughout Pennsylvania, New Jersey, and New York. She danced extensively in a touring Tina Turner Review show entitled Simply the Best for four years. Blythe was a member of Danse4Nia Repertory Ensemble for five years in which she also choreographed for the company and taught on faculty for the Danse4Nia Conservatory. As a part of D4N she danced in performances such as Thelma Hill Dance Festival and Pentacle Dance Works. Blythe has been a dancer with DanceSpora, under the direction of Heidi Cruz-Austin, for three years. Blythe joined Klassical Contemporary Ballet Company in 2016. In the Summer of 2012, Blythe completed the Lester Horton Pedagogy Workshop at Alvin Ailey. In 2014, Blythe graduated with a Master of Fine Arts in Dance from Temple University this past spring and has been presenting choreographic works in Philadelphia as well as designing new curriculums. In Summer 2014, her pas de deux, Pales in Comparison was performed at the Koresh Come Together Festival. She has also presented work in the Outlet Dance Project, ReasonsLegacy 2NY, KODeFe NYC, ETC Performance Series, and Act 1/Act 2. She is a dance instructor, choreographer, and coach for several studios throughout New Jersey and Pennsylvania and has worked in the Philadelphia school system under the organization PAEP, Philadelphia Arts in Education Partnership. In Fall 2017 Blythe joined the staff of Settlement Music School. In addition to teaching, Blythe has worked counseling young dancers for Ballet organizations including CPYB, Ballet Magnificat, and American Ballet Theater. Blythe is the Associate Artistic Director and founder of Magnolia Hill Studios: Art and Dance, a studio dedicated to sharing a love of the visual and performing arts with children. She has choreographed and directed eight full-length shows for MHS. In January of 2015, Blythe had the opportunity to set a piece entitled, Watermark on Pennsylvania Ballet 2. It was commissioned specifically for the program One Book, One Philadelphia at the Philadelphia Public Library. Blythe was a recipient of the Temple University Project Completion Grant to complete her MFA thesis concert and the Rose Veronica Choreography Award. On April 1, 2017 Blythe presented a full concert of new, self choreographed work entitled, UnShifting Shadows at the Performance Garage in Philadelphia, PA.
Ako McClain began her dance training taking classes in Chengdu, China at the age of 4. She then continued her dance training at the Champaign Ballet Academy in Illinois, and then under the instruction of Arleen Sugano in Little Rock, Arkansas. With ballet as her focus she was able to perform in Coppelia, Swan Lake, Sleeping Beauty, Cinderella, and more Nutcrackers than she can count. Ako trained further at Alonzo King LINES, Joffrey New York, the Harid Conservatory, Texas Ballet Theater, and the Beijing Dance Academy. More recently, she attended Temple University where she was captain of her dance team InMotion Dance and just recently graduated with a BA in Criminal Justice. Ako currently is a Crime Victim Advocate in Philadelphia, a member of KCBC, and a dance teacher in the Philadelphia area. Kendall Gilbert was born August 6th, 1995 in Somerset, New Jersey. Kendall has always had a very high passion for dance. He started dancing at the age of 11 in his church’s dance ministry. He started training at Franklin Middle School while apart of the middle school dance program. Through his tenure at the middle school dance program he was granted the ability to join the Franklin High School advanced dance program following his completion of middle school. While apart of the Franklin High School advanced dance program he excelled under the tutelage of Irazima Rivera. There he studied modern, contemporary, ballet, jazz, freestyle hip-hop and capoeira. After graduating high school in 2013, Kendall matriculated to Lincoln University of PA. At Lincoln, he joined the school’s only hip hop team, Onyx Dance Troupe. While in Onyx Dance Troupe, Kendall served as a choreographer, captain and president of the organization for two years (2015-2017). Kendall graduated from Lincoln University of PA in May 2017. In 2015, Kendall joined a dance studio outside of school named Level Dance Company. At Level, Kendall has excelled in learning the fundamentals of hip hop and all styles of hip hop. Kendall has trained under Kenneth “Clutch” Thomas, Chuck Maldonado, George Jones, Bboy Hannibal, Tyger B, Kaelynn Harris, Tricia Miranda, and Rosario. Kendall is currently a hip hop dancer who excels in waving, locking, house, popping, breaking, grooves and many more. Brittney Dunbar a native from Brooklyn, New York began her dance training at the age of thirteen years old at the Harlem School of the Arts. While still attending the Harlem School of the Arts, she was enrolled into Talent Unlimited High School for the Performing Arts in New York City. In 2009, she attended Dancewave Kids Company. At Dancewave, she had the opportunity to work with and perform works by a few of the many well known dance companies such as Paul Taylor, Urban Bush Women, Susan Marshall, David Dorfman and Garth Fagan. Along with her Dancewave company members she participated in the Scotland Youth Festival, in Aberdeen, Scotland. During her senior year of High School she joined the junior division at the Alvin Ailey School. A year later she was accepted to the University of the Arts, majoring in dance performance. In 2012, she attended Earl Mosley Institute of the Arts and participated in Life Dance Company’s workshop to work with Matthew Rushing. In the summer of 2014 Ms. Dunbar was awarded a full scholarship to study at Alonzo Kings Lines Ballet Summer Intensive in San Francisco. There she has worked with Julia Stiefel, and has taken classes by ballet master Alonzo King. Now that she has received her BFA in dance from the University of the Arts, she currently continues to expand her knowledge in dance, technique and performance to further enhance her craft. Brittney has also worked with Sidra Bell, Mark Caserta, Tommie Waheed-Evans, Gary Jeter, Crystal Crystylz Frazier, Ronen Koresh, and Douglas Becker. Canyon is a current student at the university of the arts in Philadelphia, Pennsylvania working towards a BFA in dance. He began his training at Divine Dance Center at the age of 10 under the direction of Riley Fitzgerald before transforming to Dance.tech to continue his education in high school. He has traveled all over the east coast assisting world-renowned choreographers such as Cat Cogliandro, Derrick Schrade, Keri Legrand, and Tiffany Maher. Through Dancer Palooza he had the opportunity to dance in stage with Bobby Newbery, and perform in up and coming artist Remidee’s music video “Smile”. He has recently performed in works by Kimberley D. Landle, Katie Swords Thurman and Tommie Waheed. He was also showcased in works at Spiel: Uhr new artist in Philadelphia.